Contact us today to discuss your next project, renovation or new construction, big or small. We’re here to assist you! Even the most functional, practical kitchens can use an update to refresh their look. 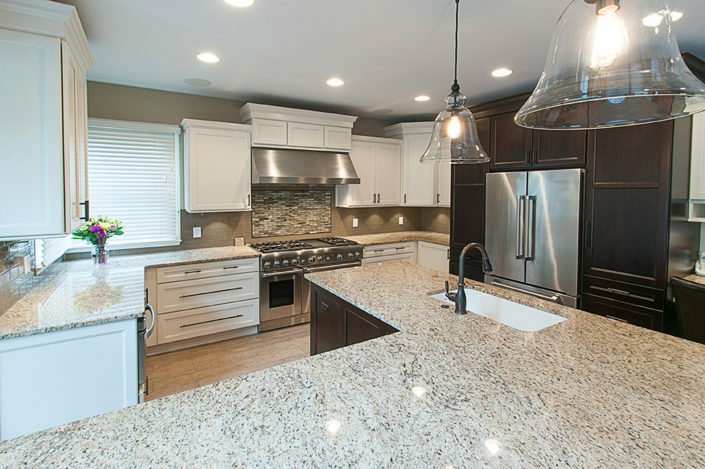 This family kitchen was rejuvenated with new cabinets and appliances, and the previous island and table were replaced with a single L-shaped island with enough seating for the family. To enjoy more outdoor living and entertaining, these homeowners opted to add a rear porch open on two sides. This expanded living space features a lovely view of the back yard and all the amenities to make the most of the space, including a fireplace and fans for a longer season of use. Built in the 1920s, this beautiful historic Mt. Lebanon home needed an update to improve its functionality for a modern family, while maintaining the unique look of the original structure. 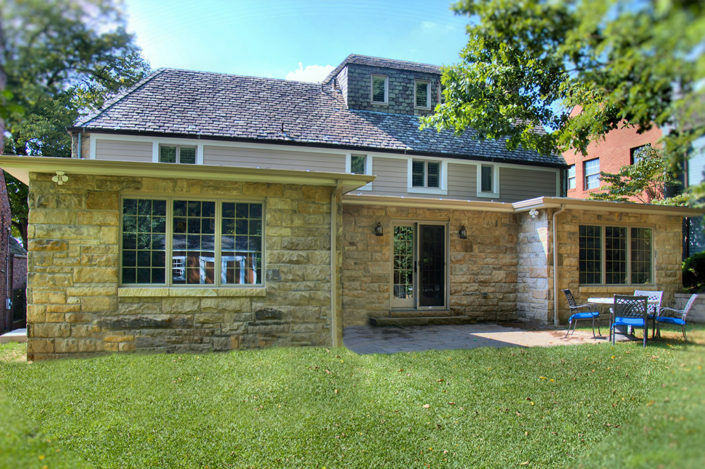 The addition to this home includes an open, contemporary kitchen, den, and expanded living area. 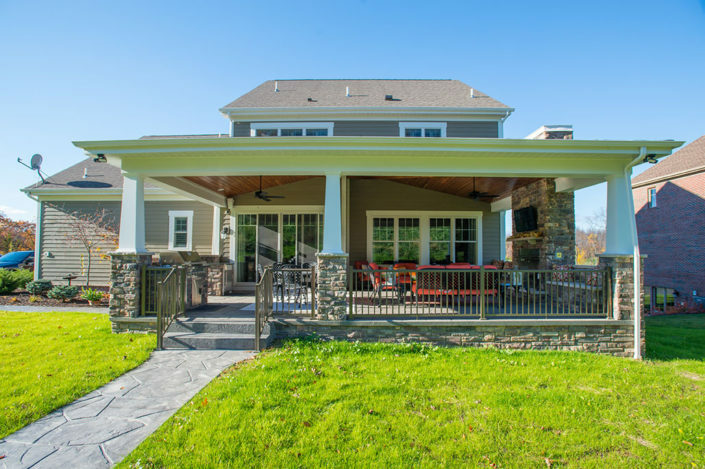 Wilson Architecture + Design, LLC is a full service architectural company that believes the built environment should support how we live our lives. To do this, our team of experts collaborates with our clients to develop projects that influence and accommodate what they do in their space. Programming begins with our initial consultation, a general discussion of your project goals, and budgetary expectations, and a review of our contract terns and fees. After we have established and Agreement for Services, we move forward with Schematic Design. It involves a more in-depth discussion of your project goals and requirements. Design Development further refines the Schematic Design documents. During this phase, the structural engineer lays out and size the structural framing and door and window types and locations are reviewed and established. Once the Design Developments are approved by the owner, the architect will produce drawings in greater detail and revise the Outline Specifications. Construction details and material selections will be provided as required for permitting and construction. The Construction Documents will be used to obtain final pricing from the contractor(s) and apply for a building permit. Construction may begin once the owner is satisfied with the pricing, the permit is obtained, and an Owner–Contractor Agreement is signed. The architect will interpret the Contract Documents, answer questions, and develop clarification sketches as required. The architect will also visit the site, review progress, and review the work for compliance with the Contract Documents. Thank you for all of your time, availability, energy and expertise. While we are happy to have it completed, we will miss working with you. It was a true pleasure. you have changed our lives and that of the house, forever.